SUNNY BILL DU-TOY is a bay gelding owned by the Hollywood Syndicate. 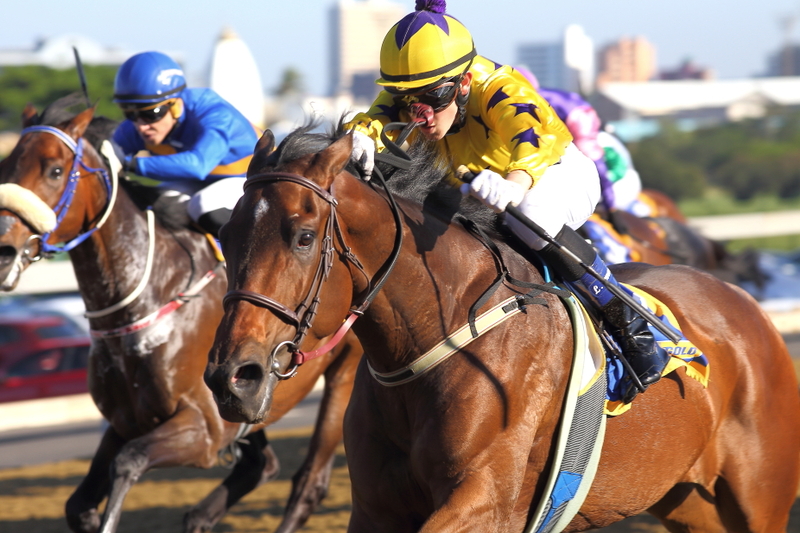 He is sired by the stallion Irish Flame out of the dam Miss Virgo (Fastnet Rock), and was bred by the Tawny Syndicate. He is currently in training with Alyson Wright. Learn more here. 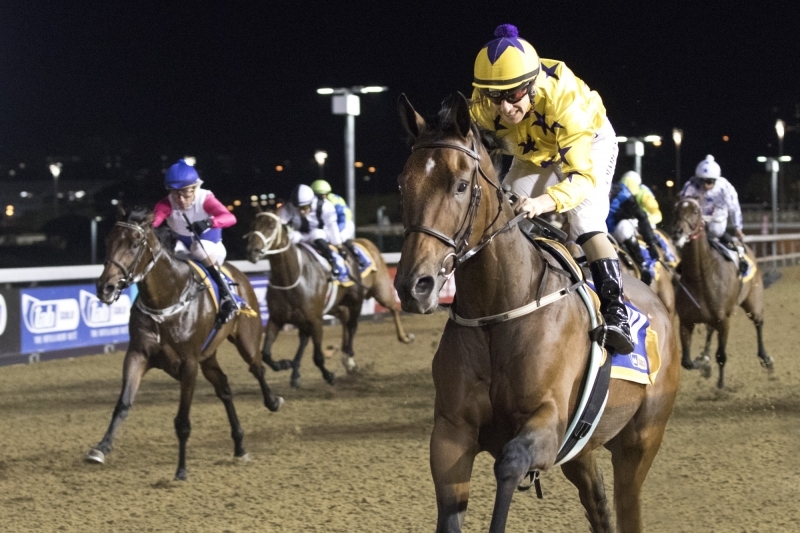 Sunny Bill Du-Toy had a cracking 2017/18 season winning three races in a row, and earning a place in the Grade 1 Daily News 2000 field. SBDT has featured in the press on a number of occasions, most notably with the origin of his name. Read the full story via Sporting Post here: When Pigs Actually Do Fly! He featured on Gold Circle's website in the lead up to his run in the Daily News 2000: Sunny Bill Du-Toy Steps Up In Class. 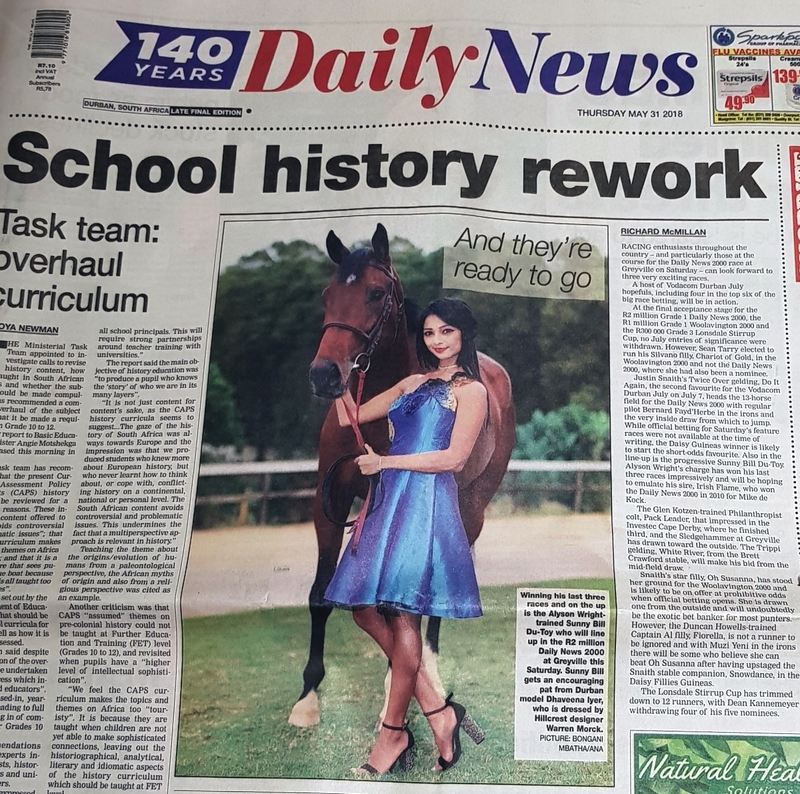 Following this, he found himself on the front page of the Daily News in the build up to the 2018 edition of the Daily News 2000! View the image here. Sandile Henry Mkhize, or Henry as he is better known around the Alyson Wright stable, is the assigned groom for SBDT. A little over 18 months prior to his run in the Daily News, Henry had never been in contact with a horse. 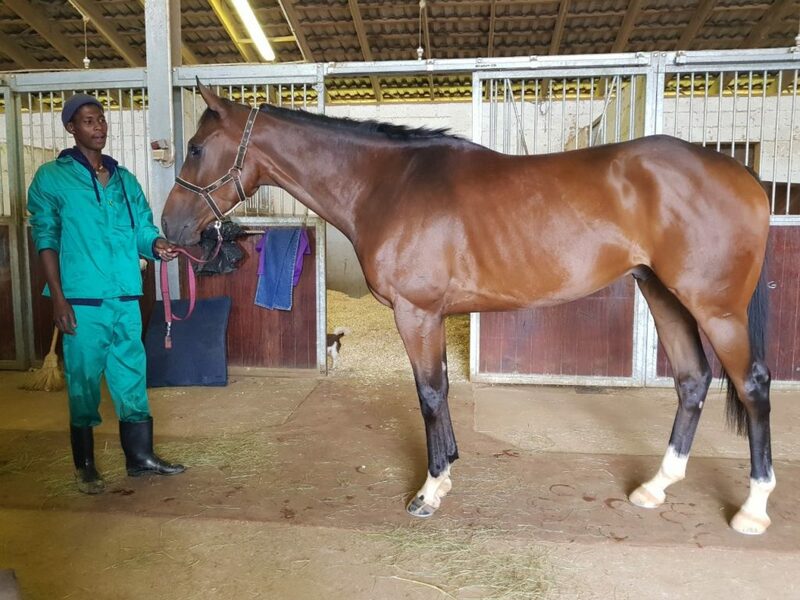 Read more here: Sandile Henry Mkhize – The Groom for Sunny Bill Du-Toy. Sunny Bill Du-Toy Gets His Hattrick! 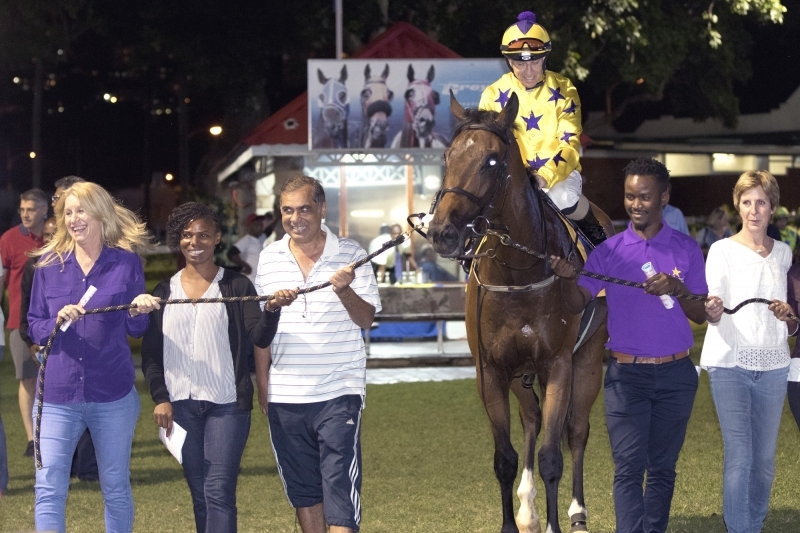 Sunny Bill Du-Toy gets his second win! 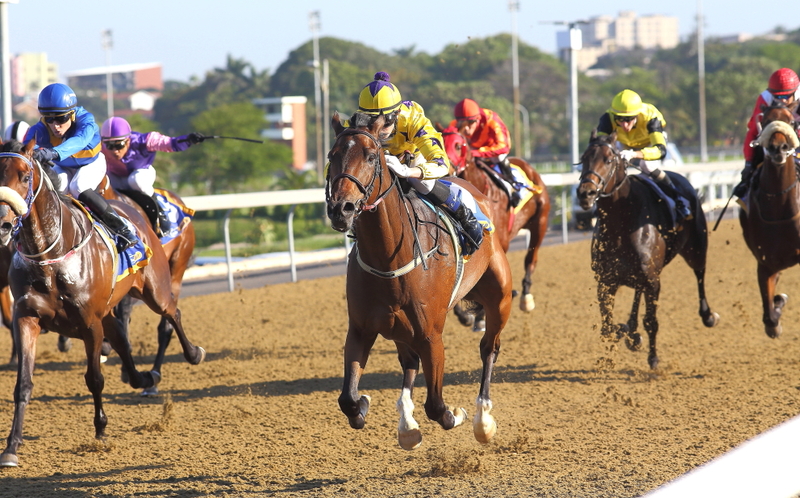 Sunny Bill Du-Toy cruising to his third consecutive victory on the Greyville Polytrack. 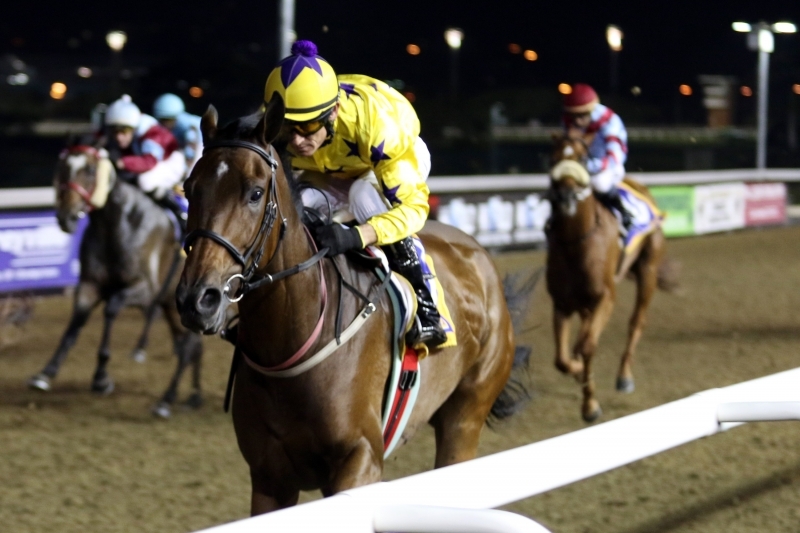 Sunny Bill Du-Toy getting led in at Greyville - 23rd May 2018. 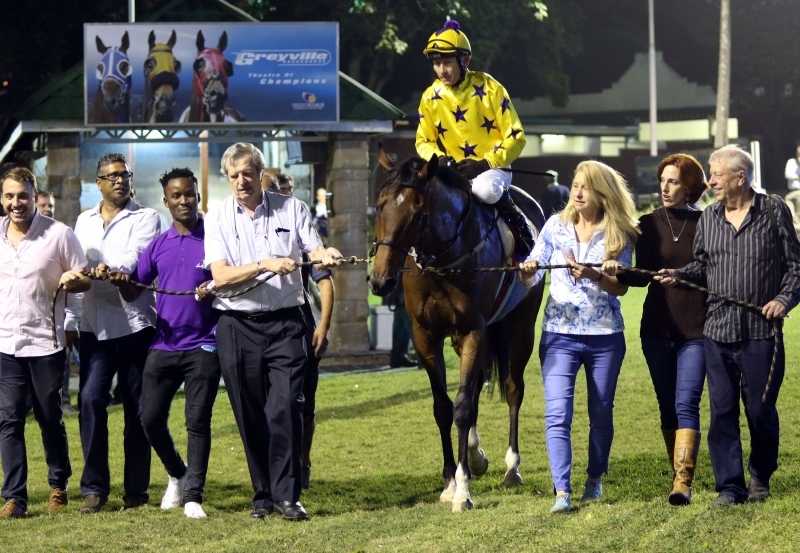 Sunny Bill Du-Toy winning his second race at Greyville - Friday 11 May 2018. Ridden by Gunter Wrogemann. 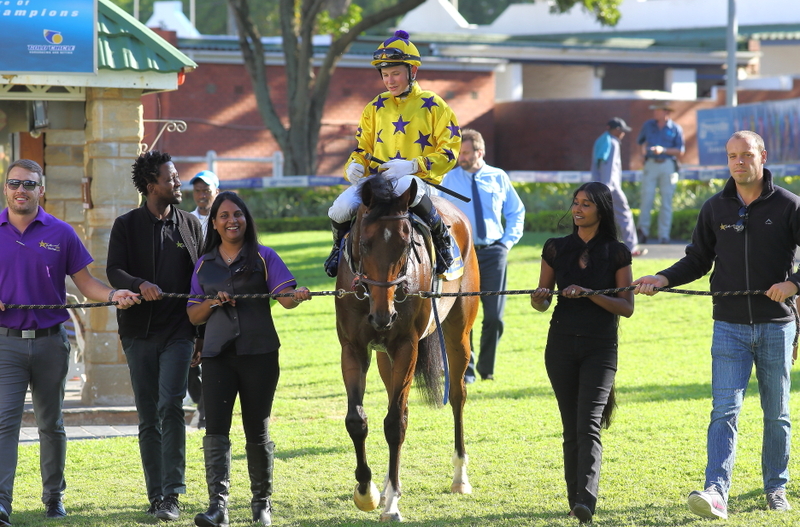 Sunny Bill Du-Toy being led in by the Hollywood Syndicate after his second victory at Greyville.